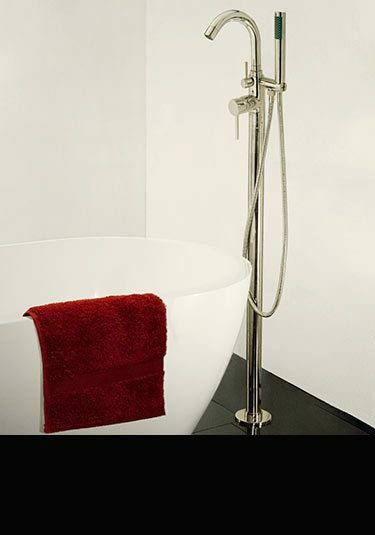 Suppliers of a contemporary range of nickel plated bathroom taps and shower fittings. Included are wall mounted, counter top and floor standing basin taps, bath fillers that are wall hung and freestanding plus large styled shower heads and thermostatic shower valves in single function as well as 2, 3 and 4 way shower functions. 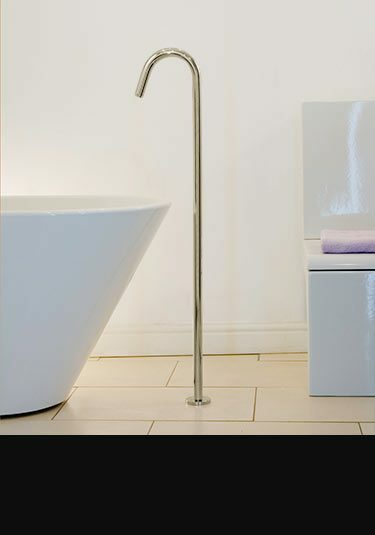 A simple contemporary styled basin mixer in a nickel finish is an ideal design theme in top end bathroom design. 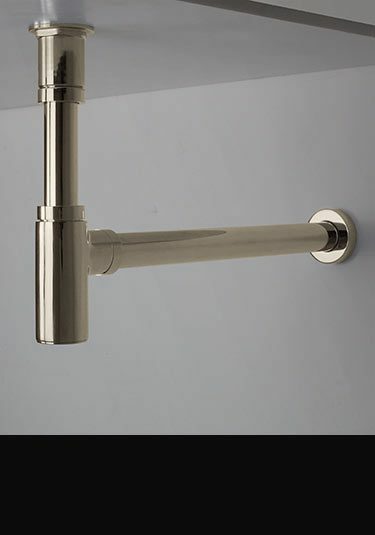 This single lever tap is also available in a gold finish to special order. An tall monobloc mixer tap with a tough nickel plated finish. 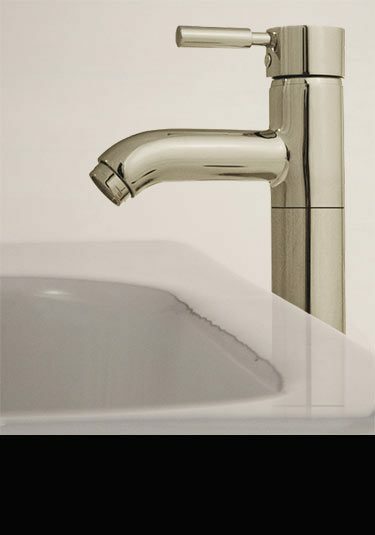 Each nickel tap is designed for deck mounting and to hang over counter top wash basins and wash bowls. Also available in a gold plated finish to special order. 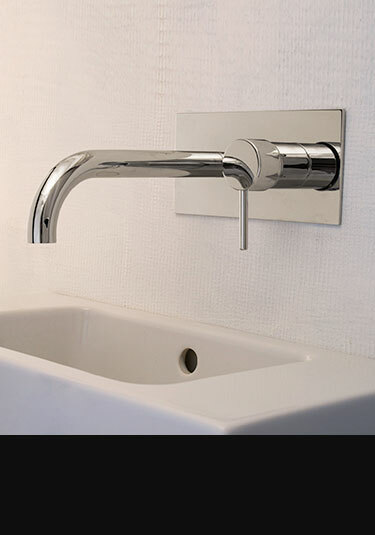 A wall mounted wash basin tap in a contemporary Italian design. Each nickel tap is operated via an efficient single lever mixing cartridge. Also available to special order in a gold tap finish. 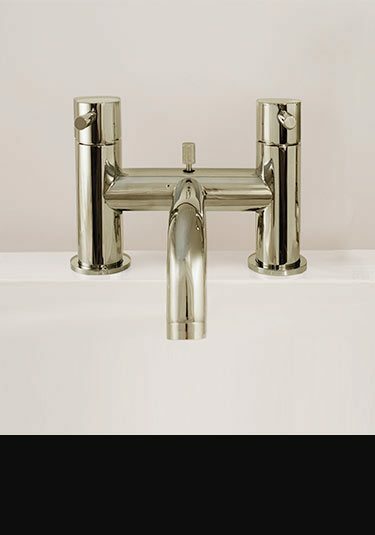 A luxury basin wall tap with a unique thermostatic temperature control. 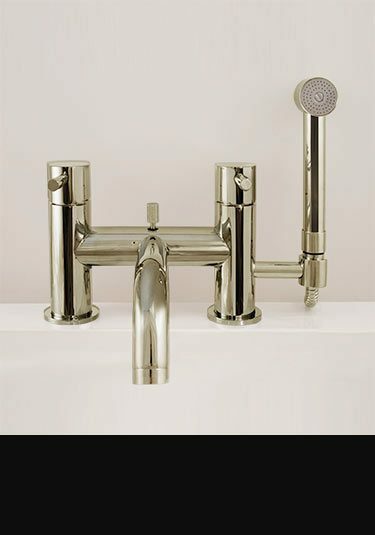 This thermostatically control tap is finished in a warm nickel plated finish which is lovely & alternative design theme in high end bathrooms. Also available in gold finish to special order. 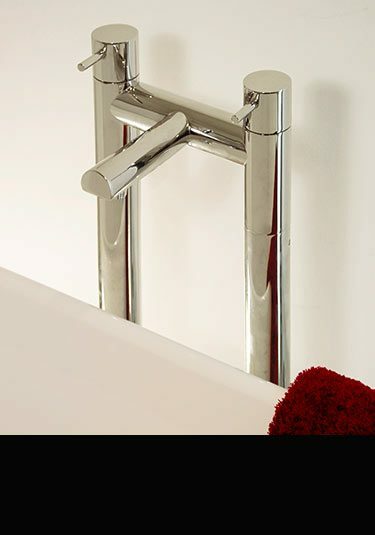 A contemporary rim mounted bath tap finished in a thick nickel plated finish. 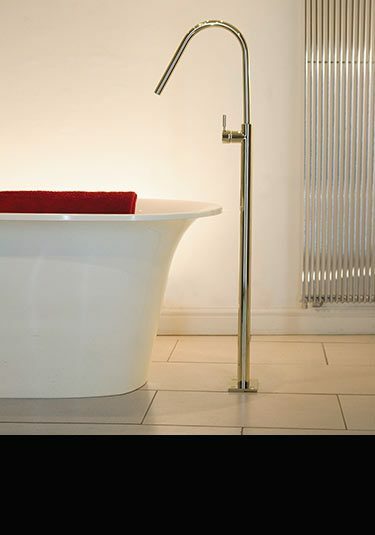 This deck mounted bath filler has separate hot and cold taps and is high quality European manufactured. 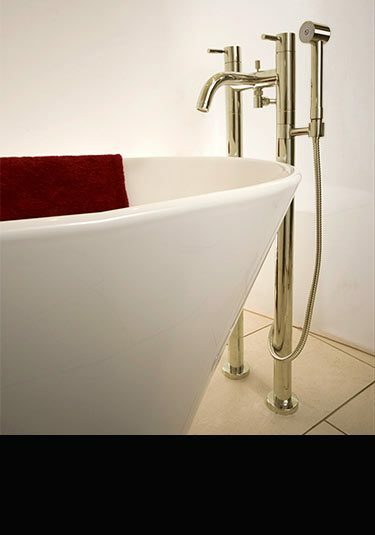 This bath tap is also available in a gold finish to special order. 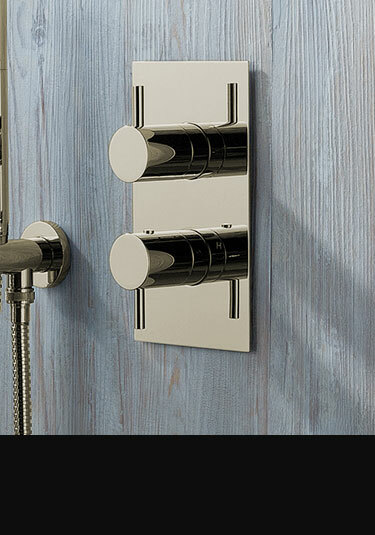 A beautiful design choice, this 2 function thermostatic shower valve is designed to be recessed flush into the wall. This nickel shower valve can be diverted between 2 showering functions and is easily thermostatically controlled. Also available in a gold plated finish to special order. A recessed into the wall thermostatic shower valve with European thermostatic water mixing cartridges for reliable use. 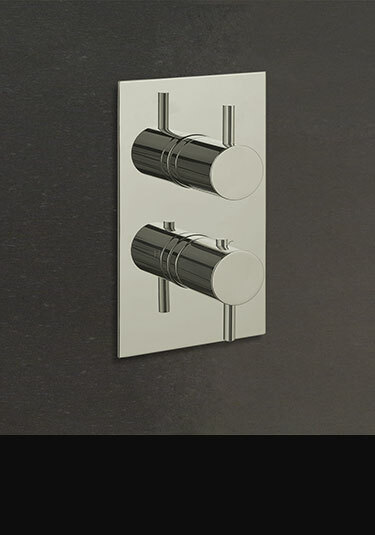 This nickel shower valve control is solid brass construction & makes an ideal choice in luxury bathrooms. Thermostatic valves are also available in a gold plated finish to special order. A rim mounted bath filler with a shower attachment is plated in a thick polished nickel finish. 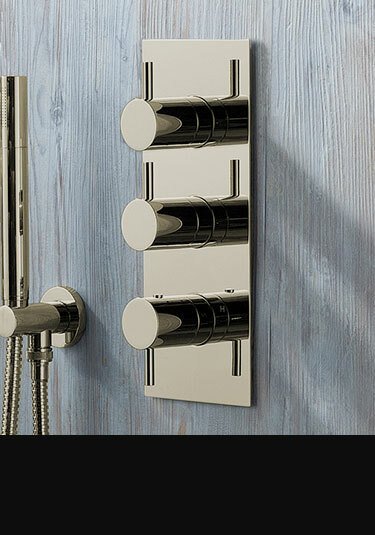 A lovely design alternative to chrome and adds exclusivity to quality bathroom design. 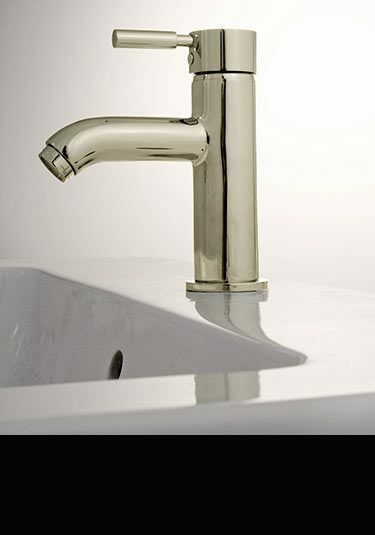 This bath tap is also available in a gold plated finish to special order. A contemporary styled shower head with a nickel plated polished finish. 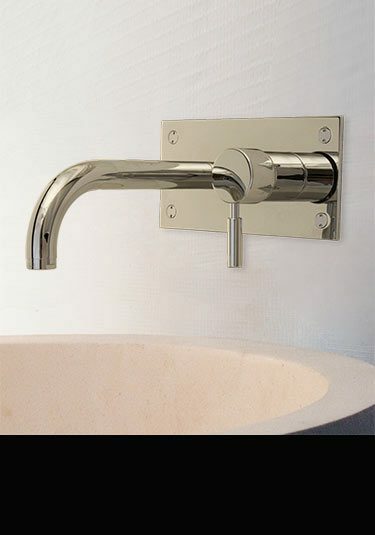 Being a lovely design alternative to chrome this warm plated finish adds a designer feel to high quality bathrooms. 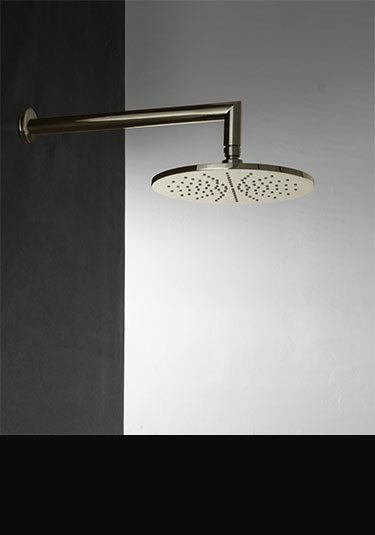 This fixed shower head is also available in a gold plated finish to special order. Nickel plated shower valve with a choice of 2, 3 or 4 shower functions. This shower control is designed to be recessed into the wall, producing a nice clean cut shower design. Designed & manufactured in Europe ensuring high quality & longevity. Also available in a gold plated finish to special order. This lovely nickel basin bottle trap makes a stylish finishing touch to nickel plated themed bathrooms and is supplied as part of a full matching bathroom taps collection.